Order within 8 hours 21 minutes for Same Day Delivery! 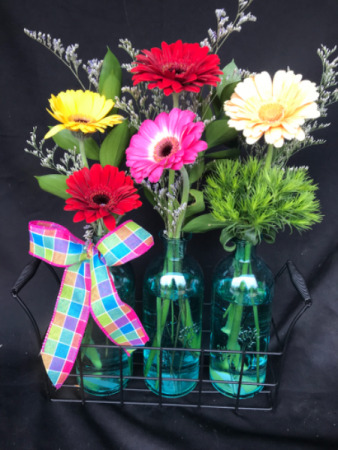 Charming keepsake teal multi vase in metal tote. Fill with flowers or leave empty for display. This is the close-up of the doggie in a basket. 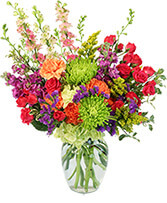 Flowers will be seasonally appropriate. $5.00 will be donated to the Humane Society of Cowlitz County. 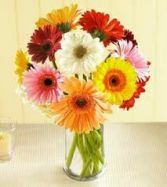 Assorted festive colors of Gerbera daisies in a clear vase. Bright and cheerful.